UW School of Nursing Center for Global Health Nursing Celebrates One Year! We participated in the Simpson Center-sponsored, campus-wide “Humanistic Perspectives on U.S. Global Health Partnerships in Africa & Beyond” event. The center continues to host regular bi-weekly Global Health Research Brownbag seminars, with presentations from faculty and students. BSN Honors student Austin Bidman will present on her national assessment of how global health coursework is integrated into nursing curriculum at the Undergraduate Research Symposium on May 19. We awarded $12,500 in Nursing travel scholarships in 2016 to eight students through Hegyvary Citizens of the World Scholarship and R. Hunter Simpson Fellowship. In 2016, four nursing students were awarded Global Opportunities (GO) Health Scholarships from the Department of Global Health for their work in Kenya & China. Investments in global health nursing can expand nursing’s broad engagement in global health policy and development, according to a recent article in the journal, International Nursing Review, by center co-directors, Drs. Sarah Gimbel and Pamela Kohler; Dr. Pamela Mitchell, executive associate dean; and Dr. Azita Emami, executive dean. The article, Creating academic structures to promote nursing’s role in global health policy, identified four critical components of effective academic structures to promote global health nursing: research, education, policy and partnership. The School of Nursing Ad Hoc Interprofessional Education Committee was formed, co-lead by Brenda Zierler and Sarah Gimbel. We partnered with I-TECH, a center in the UW Department of Global Health, to add nursing to $20 million competing renewal. 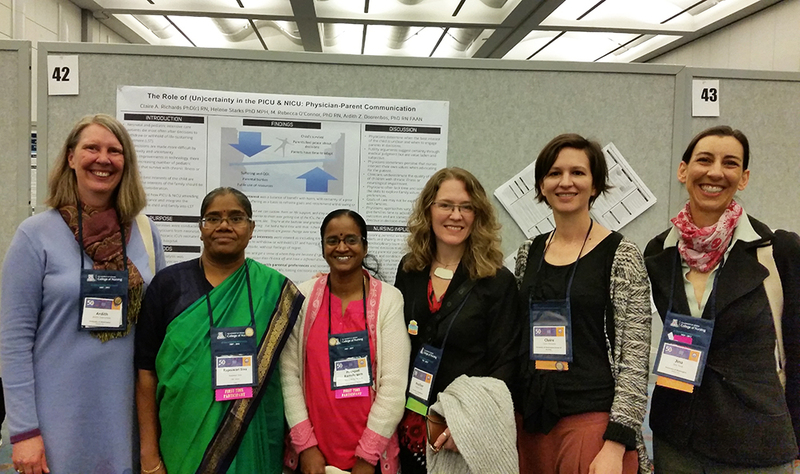 We partnered with the Alaska Health Board to create the UW Global & Rural Health Fellowship Program for DNP students. We created partnership criteria for future Memorandums Of Understandings (MOUs) with outside institutions. Erin Stoy, DNP ’17, conducted her DNP Capstone Project at Naivasha sub-County Hospital in Kenya. We created seven DNP Capstone Projects for the 2016 – 2017 academic year with Seattle-based organizations in coordination with Stolen Youth. Two of the UW School of Nursing’s long standing partner universities in India, Sri Ramchandra University and Christian Medical College Vellore, both had representatives give podium presentations at the recent Western Institute of Nursing (WIN) conference, held in Denver, CO from April 19-22. Professor Ardith Doorenbos, Biobehavioral Nursing and Health Informatics, holds a longstanding collaborative relationship with both universities. Dr. R. Poongodi from Sri Ramachandra University presented on “Effectiveness of Foot Reflexology Among Patients Undergoing Major Abdominal Surgery,” while Rajeswari Siva from Christian Medical College, Vellore gave a presentation on “Risk Factors for Non-Communicable Diseases in Vellore”, India. Additionally, the School of Nursing had five students present at WIN who have traveled to India, and both partner universities, as a part of the Health in the Context of Culture Exploration Seminar.